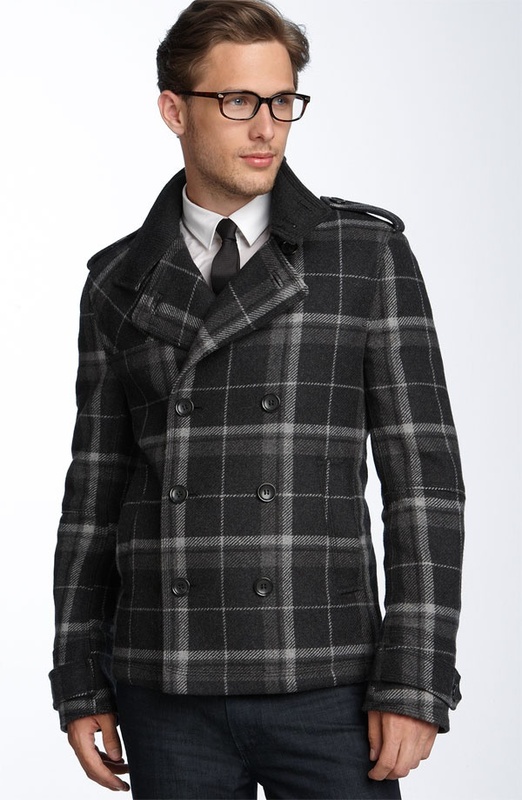 Dolce & Gabbana gives this plaid crop wool peacoat a distinct look. Featuring a dark plaid design, the slim fit double-breasted coat features a single gunflap top. For a different look, the split lapel can be converted into a stand collar. Two slanted exterior pockets and one interior pocket finish off this jacket, which is available online. This entry was posted in Outerwear, Tops and tagged Dolce Gabbana. Bookmark the permalink.